Introducing the third Opal-Essence shade; Silver Mauve. 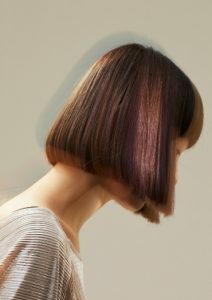 It’s intense violet tones with silver hues, make it arguably the boldest of the five shades. 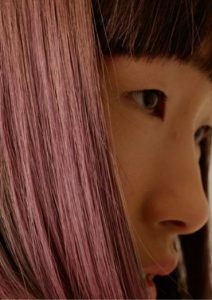 It’s great for clients who want to make a statement with strong tonal results or to add areas of interest to natural brunettes. 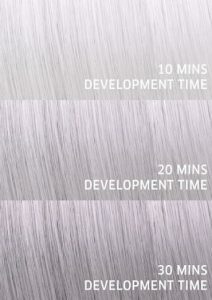 The colourists at Wella Professionals are raving about new Silver Mauve, using clever colour placement techniques to create accents in the hair and enhance the individual’s natural skin tone. Of the five Opal-Essence shades, Silver Mauve is the most neutralising and offers the most vivid tone. This means that porous parts of the hair will have more tonal dominance. Illumina Opal-Essence formulas are lightweight colours that offer a totally different experience and colour effect to existing metallic shades. Bringing all the magic of metallic hues, Opal-Essnce take things to the next level with stunning warm and cool light reflections and a pearlescent finish. Share your experience of the stunning new shades on social media with #opal-essence. For more news from Wella Professionals, click HERE.